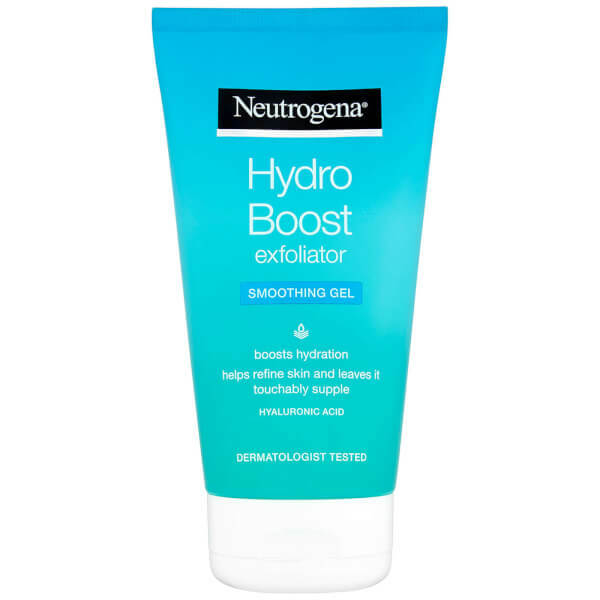 Refine and soften your complexion with Neutrogena Hydro Boost Exfoliator Smoothing Gel, a gentle face scrub enriched with naturally derived micro beads to polish away dead skin cells and impurities. Promoting smooth and radiant skin, the exfoliator delicately sloughs away dulling dead skin cells to help clarify and brighten the face. 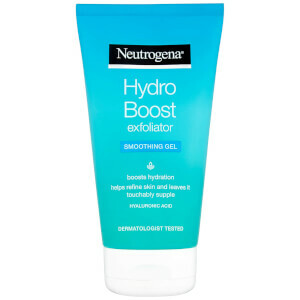 Visibly refining skin, it utilises Neutrogena® Cleansing Technology and a host of Hydrating Agents alongside Hyaluronic Acid to expertly protect whilst boosting and preserving moisture. Skin is enriched with much needed hydration, and is left feeling touchably supple with restored, youthful bounce. Gently massage skin onto damp skin, with circular movements. Rinse thoroughly and follow with your Hydro Boost® skin care routine. [PR-017349], Aqua, Sodium C14-16 Olefin Sulfonate, Cocamidopropyl Hydroxysultaine, Glycerin, Sodium Hydrolyzed Potato Starch Dodecenylsuccinate, Acrylates Crosspolymer-4, Cellulose, Carica Papaya Fruit Extract, Hydrolyzed Hyaluronic Acid, Sodium Chloride, Polysorbate 20, Disodium EDTA, Citric Acid, Glycolic Acid, Lactic Acid, Sodium Hydroxide, Phenoxyethanol, Sodium Benzoate, Parfum.